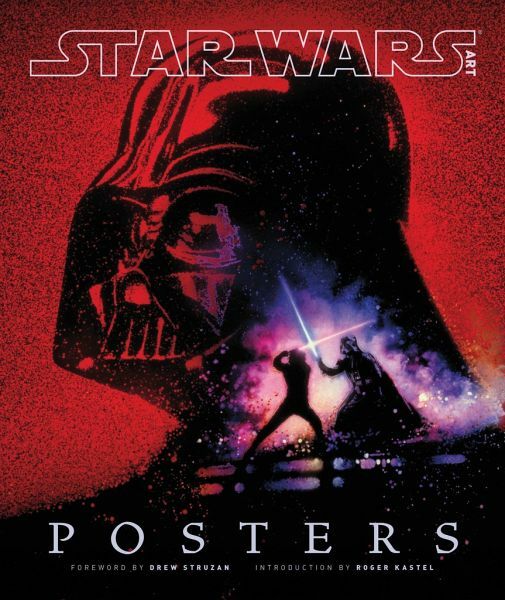 Few pieces of artwork distill the passion for 'Star Wars' as do posters. From Tom Jung's iconic one-sheet for Episode IV to Roger Kastel's 'Gone with the Wind'-inspired painting for Episode V and beyond, 'Star Wars' has enjoyed nearly four decades of poster art from some of the most renowned artists working in movies. The fifth book in the George Lucas-curated 'Star Wars Art' series, 'Posters' collects the best artwork from all six 'Star Wars' films, the 'Star Wars: The Clone Wars' animated television series and limited-edition prints. Roger Kastel first gained global recognition with his cover painting for the paperback edition of Peter Benchley's bestselling classic JAWS. Universal Studios, so impressed by the work, purchased the right to use this image as the poster for the movie and forty years later, Kastel's illustration is still instantly recognised throughout the world. Kastel's poster art for The Empire Strikes Back is considered one of the most influential ever produced. Drew Struzan's art is some of the most iconic in modern movies, with the artwork for more than 150 movie posters to his credit, including every Star Wars, Back to the Future and Indiana Jones film, as well as Harry Potter, E.T., Big Trouble in Little China, The Goonies and the Muppets.